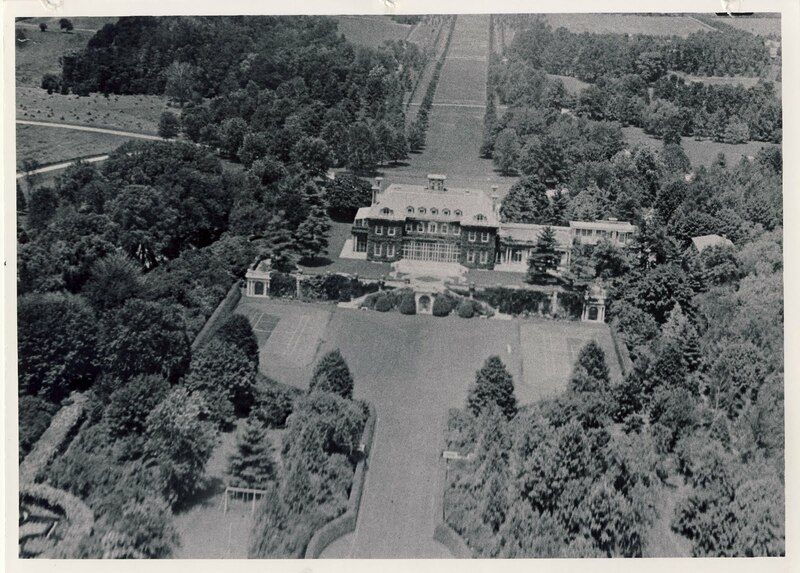 A 1930 aerial of 'Westbury House', the John S. Phipps estate designed by George Crawley c. 1905 in Old Westbury. Click HERE for more on 'Westbury House'. Picture courtesy of SPLIA. And tennis courts laid out on that magnificent lawn. Who knew? thanx zach for the early aerials. this one is so demonstrative of the grandeur and scope of these estates and what a great loss their diminishing acres is. supposedly, some planning goes into developments and the construction of new houses but their acreage is so small that there is no way to make them look a part of their surroundings as this house so obviously is. that long long long approach with its parallel allees of trees. you don't get that on a two acre lot and its features like that that make these houses grand as much as their architecture. some think the builders like tiffany who tore down a victorian hotel to build laurelton hall were rapacious. if results like laurelton and westbury et al is the result so be it. now we need to start doing the same with the developments. Can anyone id this now gone estate? Substantial gardens and a large house. Old maps show it was on Whitney property. 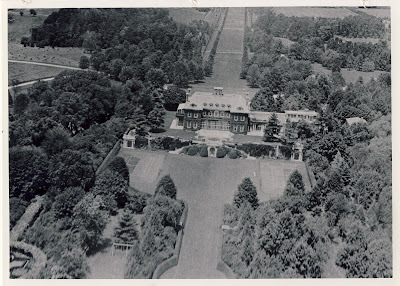 If you add up all of the listed acreage on the 1939 Dolph & Stewart Atlas between the siblings and their children (Hal Phipps, Ogden, John S., Michael, Howard and bro's in law Bradley Martin and Frederick Guest) it is just shy of 1,000 acres... a sizable chunk of Old Westbury.